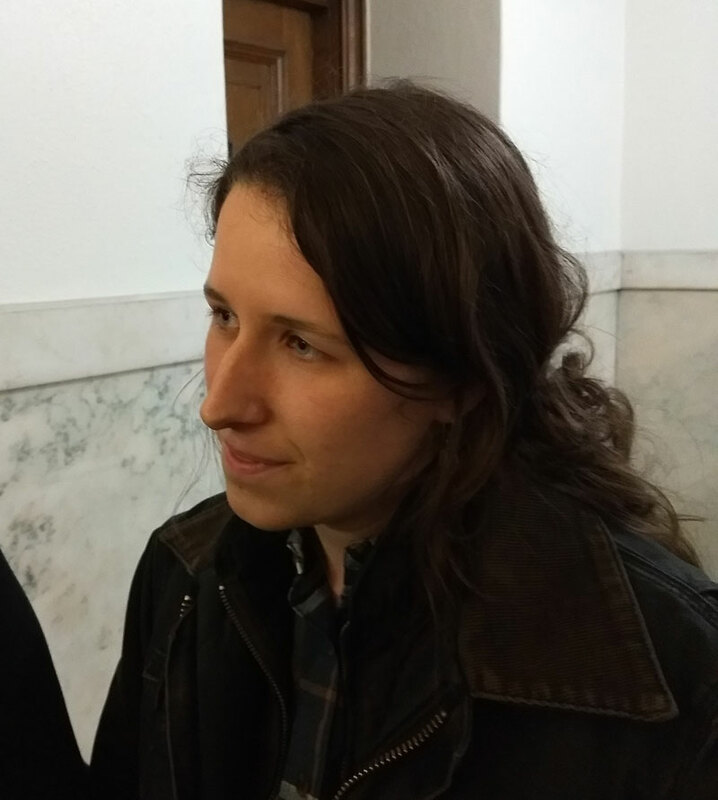 Kayla Koether talks with reporters after the court hearing. A Polk County Judge heard arguments today on the still contested Iowa House race in Winneshiek County. Democrat Kayla Koether of Decorah trails the Republican incumbent by 9 votes. Her attorney Shayla McCormally, is asking the judge to force a count of 29 ballots that the U.S. Postal Service determined were mailed on time based on the bar codes on their envelopes. “Open and tally those ballots. This is not an election contest, we need the auditor to do his job and the Secretary of State to stop telling him not to,” McCormally says. But Assistant Iowa Attorney General Matt Gannon has asked the judge to dismiss the case. He says the district court doesn’t have jurisdiction to decide the issue now that the results have been certified. “All of this should be heard by a contest court — and in this case the contest court is the Iowa House of Representatives, “Gannon says. Judge Scott Beattie says he hopes to issue a ruling tonight. Koether was in the courtroom and talked with reporters following the hour-long court proceedings. “I think we’re at the same place we have been the whole time. We know that these people placed their votes in good faith, they did it on time, and I think that their right to vote should be respected and I am glad that we have a forum to discuss that in,” Koether says. Koether would say if she would proceed with a challenge in the Iowa House if the judge rules against them. “We’ll await his ruling and what he says as we think about going forward and what needs to happen. I guess we won’t know more until we see what is ruled on,” Koether says. Koether ran against Republican Representative Michael Bergen of Dorchester and he will take his seat in the legislature if there is no challenge. Koether has 20 days before the opening of the 2019 Iowa Legislature to request the recount of the votes by the Iowa House. That means she would have to file by Christmas Day.